Adare Manor was not always so imposing. 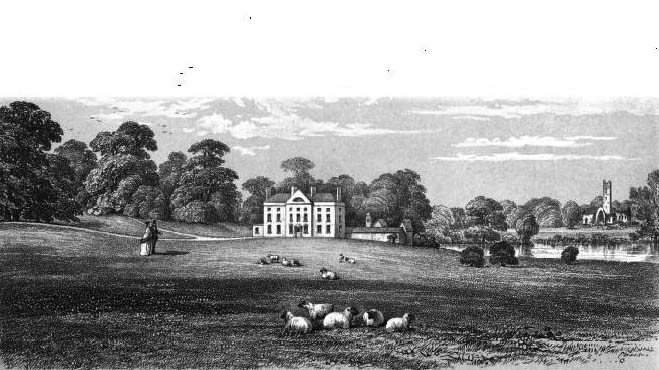 In the 1820s the building was a refined Georgian house, without turrets and other elaborate details. However, Lady Caroline Wyndham wanted to give her gout-stricken husband, the Second Earl of Dunraven, something to do. And, what could be a better diversion to build a grand estate? 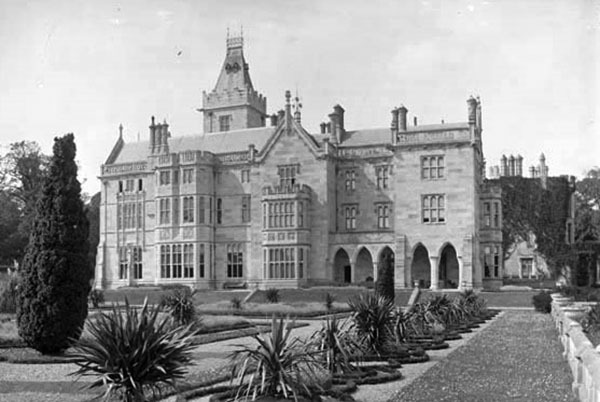 Though Lady Caroline went to great lengths to establish the myth that Adare Manor was planned entirely by her husband without an architect, it is fairly certain today that much of the design work was completed by James Pain who, along with his brother George Richard, had been commissioned to design numerous public buildings and country homes. James Pain was dismissed by the Earl before completion. The structure is a series of visual allusions to famous Irish and English homes that the Dunravens admired. It is replete with curious eccentricities such as the turreted entrance tower at one corner rather than in the centre, 52 chimneys to commemorate each week of the year, 75 fireplaces and 365 leaded glass windows. The lettered text carved into the front of the south parapet reads: “Except the Lord build the house, the labour is but lost that built it.” The elaborate decoration is a miracle of stonework – arches, gargoyles, chimneys and bay windows. The interior spaces are designed on a grand scale. 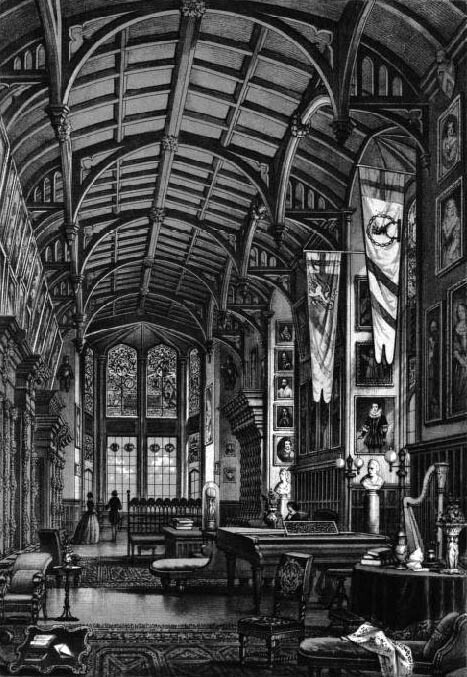 One of the most renowned interior spaces is the Minstrel’s Gallery: 132 foot long, 26-1/2 foot high expanse inspired by the Hall of Mirrors in Versailles and lined on either side with 17th Century Flemish Choir Stalls. Other architects to have collaborated with the Earl include Lewis Cottingham, Philip Charles Hardwick, and possibly A.W.N Pugin who designed a staircase and ceiling.